Wedding Videographers have long been a part of the wedding industry. With some companies even going back as far as 30-40 years, with their old ‘broadcast’ style cameras and let’s say, fairly dated approaches to wedding videography much different to as we know it now. Over the last few years, the rise of couples having a wedding film has been huge. More and more couples are considering how beneficial having a wedding film may be as a keepsake of their wedding day, after all the dust as settled. With this increased demand, comes an increase in wedding videography options, as many new videographers decide to take up wedding videography as a career path – leading to many styles and approaches being available to couples. As after all, in the majority, each Videographer is different in their approach and how they would like to present their films. One common myth that we’d love to debunk here at Perfect Moment Films though, is that certain videographers can only ‘film’ or ‘edit’ in certain styles. For example, a lot of our films are narrative driven, as for us telling the story of your day is a huge part of what we aim to achieve and the use of narrative from the day, is a fantastic aid to help us do this. Does this mean that we can only film and edit like this? Heck NO! Of course it doesn’t. 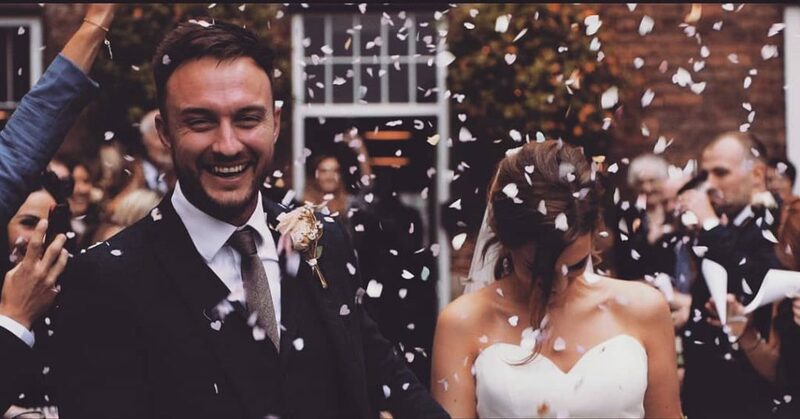 A lot of the time, the reason our films are presented this way, is because future clients see examples of this on our website or Facebook or Instagram and express they would love that approach for their own wedding film. It doesn’t mean that we can’t film in a more ‘upbeat’ fashion or edit in a film in a way that is more ‘fun’ and ‘energetic’ than what our films are usually like, because of course we can! Many Videographers are able to adapt their filming to fit in line with their clients requests. 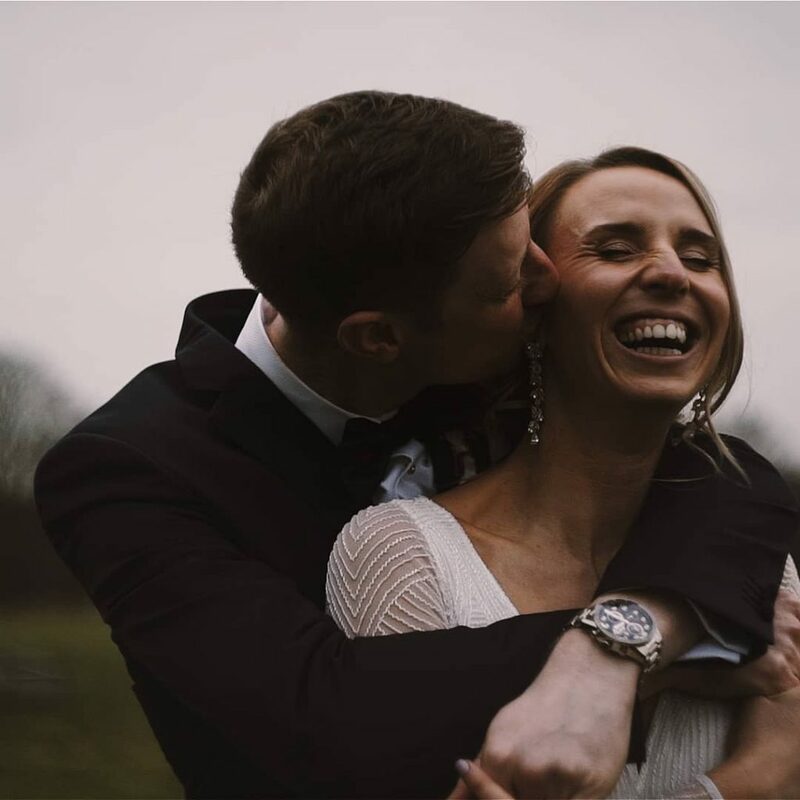 So if a client comes along and asks for a more upbeat and fun wedding film, then more often than not, this is easily achievable and can often be a nice change for the videographers themselves, if a lot of their work is more in keeping with a different style. 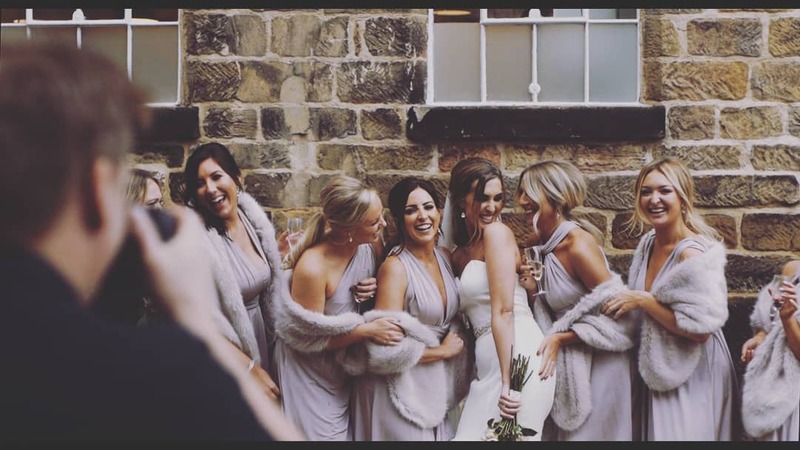 As you can see, we certainly can be fun too and this is most likely the case for many videographers out there, who may have been discarded as an option by a client (or even a wedding planner) in the past, based on their usual style of filming. A good quality videographer has many strings to their bow and can easily adapt to provide a high quality film in many different styles. Please don’t fall for the common myth just because the majority of their films are edited in a certain way. You may well just be surprised. Holly and Ben living their best life at The West Mill Wedding Venue, Derby.